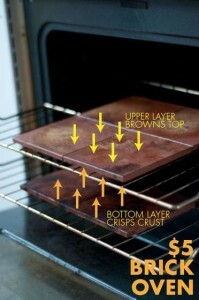 Always wanted a Brick Oven to create wonderful pizza on? 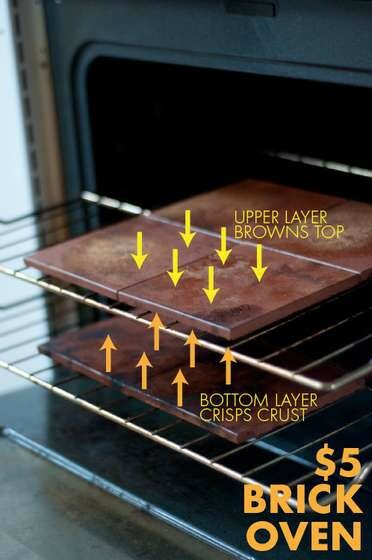 The Instructables teaches you how to make your own brick oven for less than $5! I have done the diy brick oven works great! I was not able to find un glazed tiles.I did find ones safe for use though. Couldn’t you just use two pizza stones? One on top and one on bottom?